What does “There’s no Hebrew undertext” mean? A baraita in the Babylonian Talmud appears to preserve a quotation from a written Hebrew source from the late Second Temple period that contains elements of Biblical and Mishnaic Hebrew similar to the style in which we believe the Hebrew Life of Yeshua was composed. 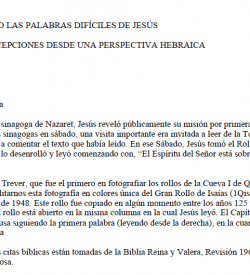 The “Mission of the Twelve” attempts to reconstruct the complete story of the apostles’ healing and teaching mission. When three eager prospective disciples asked permission to follow Jesus, Jesus responded to each of them with a riddle. Why would God allow Jesus and his followers to sleep on the ground when he provides safe places even for the animals to sleep? How can the dead bury a corpse? Why would a disciple set his hand to a plow when Elisha had given up plowing in order to follow Elijah? These riddles would have to be puzzled over before their meaning was fully understood. But each of the riddles were ominous, and it appears that each of the three prospective disciples reconsidered his desire to join Jesus. The Tower Builder and King Going to War similes attempt to explain why full-time discipleship was not suitable for everyone. Not everyone had the freedom and the ability to give up their livelihoods and leave their families in order to travel with Jesus from place to place. Full-time discipleship was for the select few who could set aside their ordinary activities and engagements in order to master Jesus’ message in order that they, in turn, might accurately pass it on to others. Jesus was willing to take on as full-time disciples only those whom he believed were up to this extraordinary task. “All these I have kept since I was a child,” the man interrupted. 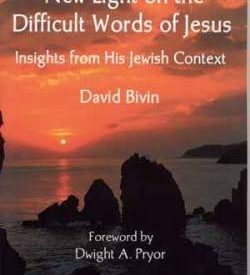 In this excursus to the Life of Yeshua commentary, David N. Bivin and Joshua N. Tilton delve into the ancient Jewish concept of the Kingdom of Heaven and discuss the ways in which Jesus made use of this concept in his own unique style. Supposing that these twin parables once belonged to the same narrative-sayings complex as the Rich Man Declines the Kingdom of Heaven incident enables us to understand their message. Jesus’ demand that the rich man sell everything wasn’t an onerous or unreasonable request; to the contrary, Jesus had offered the rich man an extraordinary bargain. 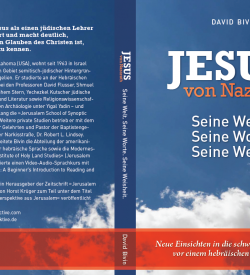 In Widow’s Son in Nain, David Bivin and Joshua N. Tilton ask “Which Nain was the town where Jesus raised the widow’s son?” and “What is the meaning of the people’s exclamation that a prophet had arisen among them?” The possibility of a Judean ministry early in Jesus’ career and of the messianic connotations of the Widow’s Son in Nain story are discussed in detail in this segment of the Life of Yeshua commentary. One of the clues that the Synoptic Gospels descended from a Hebrew Life of Yeshua is the number of foreign words that were transliterated into Greek from either Hebrew or Aramaic (it is often impossible to distinguish Hebrew from Aramaic in Greek transliteration). The Healing of Shimon’s Mother-in-law, a tender story of familial intimacy, offers a unique glimpse of Jesus’ compassion. 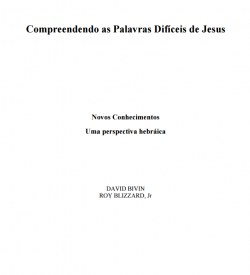 This LOY Excursus is a compendium of our observations regarding the redactional changes the author of Mark typically made to his sources and discusses the image of Jesus he wanted to portray in writing his Gospel. 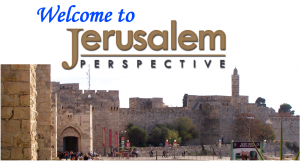 Jerusalem Perspective’s project to produce a reconstruction of the Hebrew Life of Yeshua is making exciting new progress.